THE INCITERS play Northern Soul music. Northern Soul takes the Motown/Stax ethic but adds a stronger back-beat with more adventurous production, and THE INCITERS continue this tradition in grand style. With 11 members wielding drums, bass, guitars, a full horn section, and three female vocalists, THE INCITERS have no problem filling a room with the powerful sound of soul. The three vocalists lead the band through finely crafted original songs as well as traditional soul music that will get you out of your seat and start to dance. 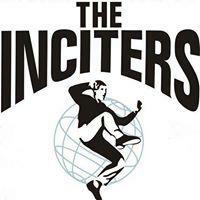 THE INCITERS first formed back in 1995 and had a successful 10-year run before breaking up in 2005 – leaving behind a massive following in Europe that demanded their return year after year. In 2009, they got their wish as original member / bandleader Rick Kendrick went to work putting the band back together. THE INCITERS re-formed with some new, younger faces and picked up right where they left off. Right after the group reformed, they embarked on another successful European tour, released a teaser 7” single on Scorcha in Germany, and then got to work to record their comeback album – SOUL CLAP!